Prenuptial agreements aren’t always ironclad. In fact, no matter what the terms of the agreement are, a prenup is contestable and often not as strong as when it was first created. Having children, moving to another state, or a change in financial status can all be grounds for a judge to throw out the prenuptial agreement. Fortunately, there are alternatives to the prenuptial agreement that serve the same purpose, while offering better protection for your premarital assets. A downside of a prenup is selling your future spouse on the idea. This can sometimes cause the union to fail before you even walk down the aisle. A living trust, also called an asset protection trust, is a way to protect your assets without convincing your spouse to sign a controversial document. You simply go to an attorney to draw up the paperwork to create a third entity that will own the assets you intend to protect. The entity is the trust. Make yourself trustee, so that you can still oversee the properties and businesses held by the trust. You can make your spouse the beneficiary upon your death, and all of the assets will be passed on accordingly. You can also change the name of the beneficiary at any time. 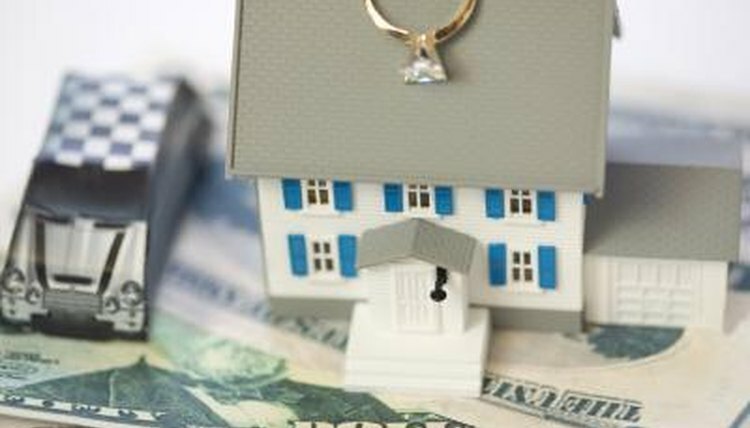 Upon divorce, any assets owned by the trust set up before the marriage are not a part of the marital property (community property in some states). In some states, you may have to pick a trustee, someone you trust with your business and property. This is a tactic used by politicians to separate themselves from the activities of their businesses after they take office. The key is to create the trust before the marriage takes place. Another alternative to a prenuptial agreement is the joint ownership agreement, commonly used as a way to avoid probate. However, the same concept applies to protecting your assets in the event of a marriage failure. The agreement uses a bank account through which all management, payroll and other costs on the property/ assets are paid. A friend, attorney or trusted money manager must be the second party on this account. However, payments to this person must come from your private funds. The joint ownership agreement keeps ownership of the included assets between yourself and your trusted third party. In the event of a divorce, the property held under the agreement is excluded from the distinction of community property or marital assets. Davis, Jonita. "Alternative to a Prenuptial Agreement." , https://legalbeagle.com/5814038-alternative-prenuptial-agreement.html. Accessed 22 April 2019.